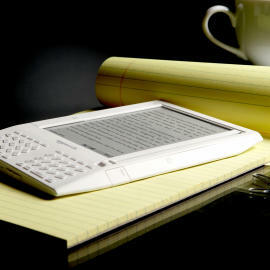 Over at TechCrunch I’ve penned an op/ed piece on why I’m in love with the Kindle. 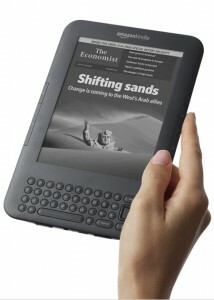 Or more specifically, why the dedicated e-Reader still has a role to play in the context of Apple’s iPad and competing multifunctional tablet computers, such as the plethora of Android-powered devices that are about to hit the market. I’m now a total Kindle convert. Yes, I know. It’s a laughable notion to anybody that knows me well and judging by the number of unread books – mostly Christmas presents from friends who should know better – that occupy shelf space and the spare cupboard in my house. But I can’t get enough of the Kindle. It’s the only gadget that encourages me – no, forces me – to go off the grid and get away from, as Mike Butcher puts it, the “background hum” of being always-connected. 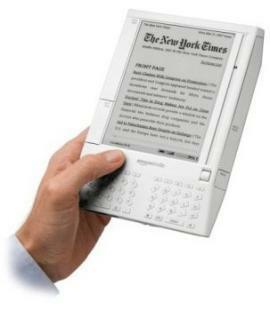 If fact, it’s for exactly the reasons that Carr states, that the dedicated e-reader can be seen as the anti-iPad. And that might well be its long-term appeal. This morning I took (early) delivery of Amazon’s new Kindle 3 – I opted for the WiFi only version – a device that claims 50% better contrast than any other e-reader, a 21% smaller body while keeping the same 6″ size reading area, and a 20% increase in the speed of page turns. These are, of course, all very welcome improvements but specs alone don’t tell the real story of Kindle’s appeal and why it sets the bench mark for an e-reading experience. Instead, it’s Amazon’s decision to adopt a vertical model: controlling the hardware, software and, most controversially, content of the Kindle that define the user experience. But first, let’s dive into the device itself. The Kindle hardware exists to kick start and accelerate the uptake of eBooks, and as well as creating Kindle reader software for other mobile platforms, similar to what the company has already done on the iPhone, I wouldn’t be surprised to see Amazon one day license its Kindle platform to competing hardware eBook readers. As I said, it’s clearly about shifting content, and to achieve this, owning the eBook ‘standard’ and therefore default store. Peter Burrows of BusinessWeek today wrote an even-handed post about the coming of Kindle 2.0, the much anticipated update to Amazon’s much ballyhooed eBook reader. And while he feels the Kindle revolution is “awfully evolutionary,” he also questions just how evolutionary it really is. Burrows says he can confirm that McAdams Wright Ragen analyst Tim Bueneman [via Seattle Post-Intelligencer] has been saying recently: Amazon will unveil a larger-screen Kindle aimed at college students in the coming months. Burrows also says there will be an upgrade to the Kindle base model, which will be thinner, with a better screen, more stylish, and will include fixes to some of the user interface quirks from Kindle 1.0. Wow. Kindle 2.0 must be one heck of a device. But I, like Burrows, wonder.